Walking this morning (27 Oct 2012) across the moor at the side of Baildon Hill, overlooking the 17th fairway of the golf course, I had a pair of Stonechat perched on the gorse in the area. There were still a few Meadow Pipits around. Thanks Shaun. 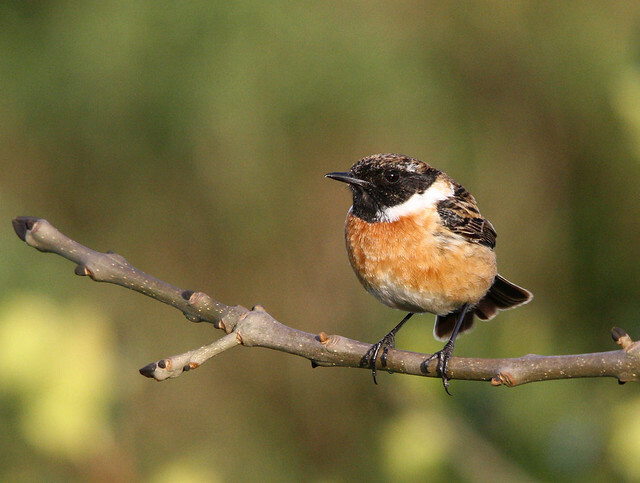 Below is a photo taken in April last year of a male Stonechat not too far from the place Shaun mentions. What to look out for in October. still enjoy finding birds elsewhere around the fringes. Greenfinch, Bullfinch and Robin are likely to be seen. These are just a few of the birds you can expect to see out and about Baildon Moor. We would love to receive by e-mail information about your local sightings. 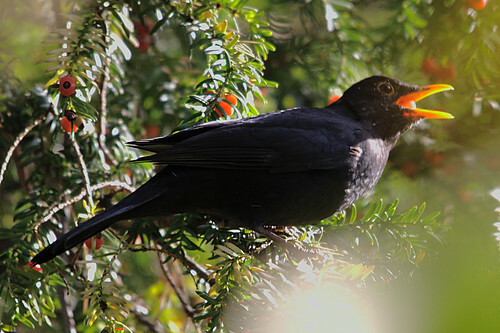 Baildon Moor is a great place for wildlife and several bird species breed in the area. Later in the Spring there will be many birds nesting on the ground. We will all need to keep our eyes open to avoid these areas so that the eggs can hatch. 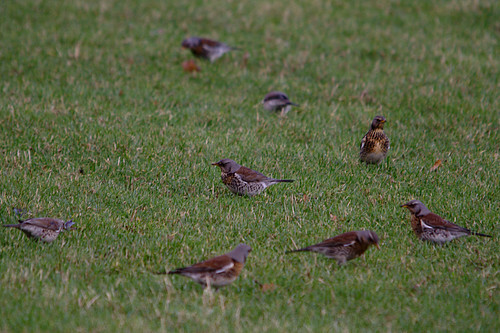 Fieldfare, a winter visitor, can sometimes be seen in their hundreds in some of the adjacent fields. 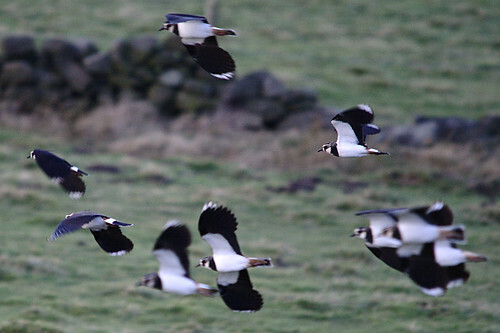 This year in February there are flocks of Starlings, Lapwings, Golden Plover and a few Curlew. Click on the photo to go to flickr to see photos of the Golden Plover and Starlings.